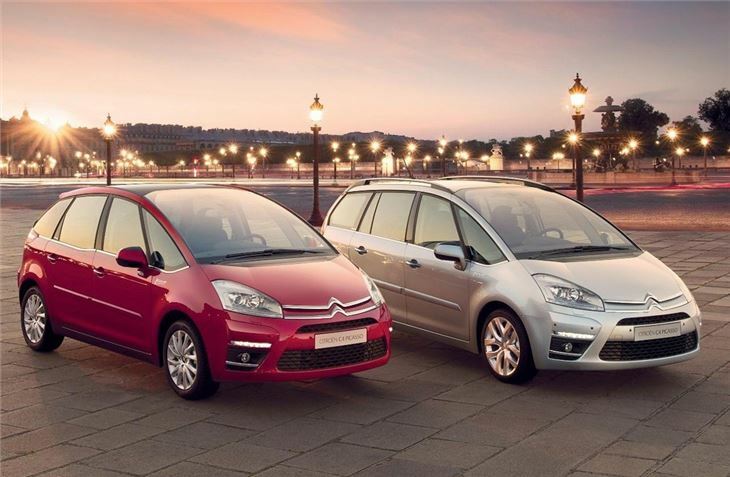 Citroen is giving its C4 Picasso and Grand C4 Picasso people carriers a mid-life facelift with a range of changes including minor styling updates, improved equipment levels and upgraded engines. The new versions will go on sale in October 2010 and will be officially unveiled at the Paris Motor Show. Both C4 Picasso ranges will also feature models specified with Citroën's new e-HDi micro-hybrid technology, which improves fuel efficiency and lowers CO2 emissions. This will be the very first time that e-HDi equipped models will be available in the UK. 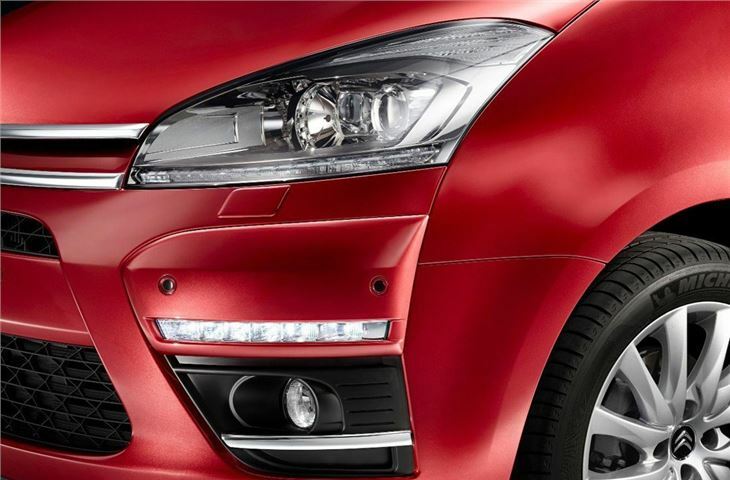 The styling tweaks are subtle and include a new chevron design on the front grille and tailgate, a redesigned front bumper, new headlights and rear light clusters, and - on VTR+ and Exclusive models - a distinctive front LED light strip. The best-selling VTR+ model now features a chrome side window sill and a chrome rear bumper strip. The C4 Picasso Exclusive's appearance can be enhanced even further thanks to a new and unique ‘Black Top' option. Available in conjunction with six body colours, this option means the roof and A-pillars are painted with a glossy Onyx black. The exterior door handles, door mirrors and alloy wheel centre caps also receive a glossy black finish. Standard equipment is improved too and VTR+ models are upgraded to feature rear parking sensors, electrically folding mirrors, a USB socket and Bluetooth. Similarly, Exclusive models now benefit from 17-inch alloy wheels, new upholstery, USB, Bluetooth and the new Citroen eTouch Emergency & Assistance System. Citroen eTouch automatically or manually makes emergency or assistance calls, using a built-in SIM card, for a rapid response in the event of an accident or if the car is immobilised. Citroen's eTouch system also allows drivers to consult information online at their ‘MyCITROËN' personal space, which allows them monitor their vehicle's maintenance requirements and to receive advice on improving their fuel economy. These services are free and available 24-7. The new e-HDi micro-hybrid technology combines a second-generation stop/start system, a reversible alternator that recovers energy during braking, an e-booster function that re-starts the engine instantly (in 0.4 seconds) and a refined Euro 5 HDi 110nhp DPFS engine with a six-speed EGS transmission. This delivers claimed combined economy of up to 58.9mpg for the C4 Picasso and 57.6mpg for Grand C4 Picasso, with CO2 emissions of between 125g/km and 132g/km. In built-up, urban environments, this innovative technology can lower fuel consumption and CO2 emissions by as much as 15%. Both ranges also now feature a new 2.0HDi 150bhp diesel engine with a six-speed manual gearbox, which delivers a claimed combined cycle fuel economy of 49.6mpg. A 2.0HDi 160hp with a six-speed automatic gearbox is also newly available on Exclusive models. 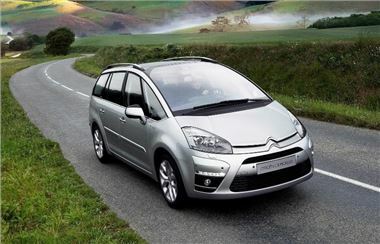 The new Citroën C4 Picasso & Grand C4 Picasso will be available in the UK from 1st October 2010.